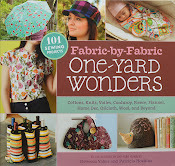 Another project from One Yard Wonders (the first volume)! Also one of the super secret projects I couldn't post about right away because it was a gift. A friend of mine (introduced to me through my bestie, MaryAnn) is expecting her first child. My immediate thought was to make a Newborn Flyaway Jacket. Usually I do a little coordinating onesie with the jacket. As I was flipping through the book, I stopped at the project that appears right before mine, the Latte Changing Pad. I had all of the necessary supplies. It looked pretty simple to put together. So, I decided to change my usual baby gift up a bit. Unrolled with its coordinating pouch. 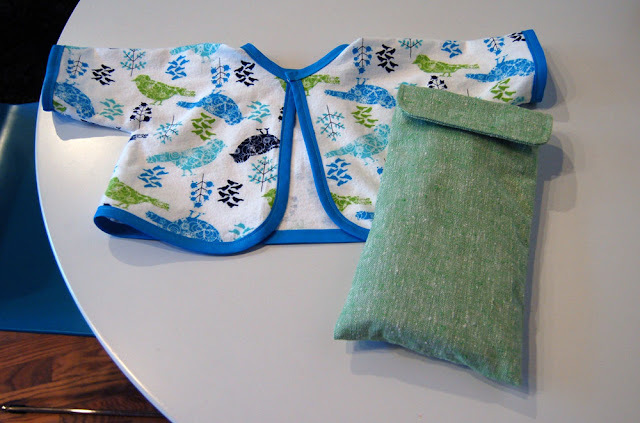 The pouch is large enough to hold the changing pad, a small package of wipes, and a few diapers, but still small enough to be tossed into a purse. 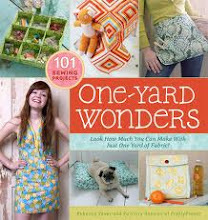 The book suggests using it when the baby gets a little older and doesn't need a fully packed diaper bag on short errands. All rolled up! 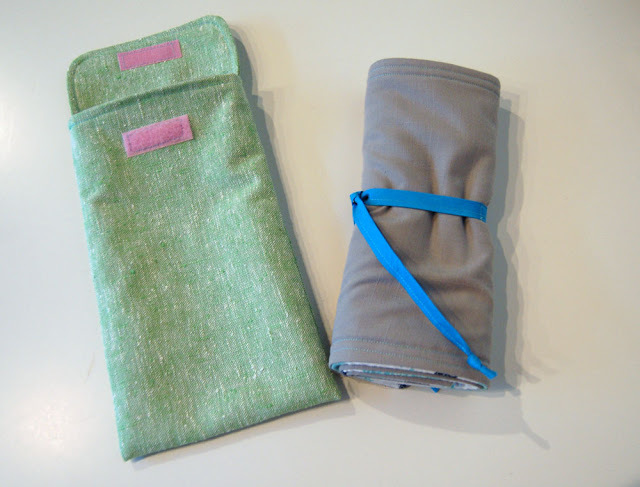 The whole project technically requires a single yard of fabric, but I decided to change it up a bit and use different fabrics for the pouch and the pad. The top of the pad is flannel (leftover from the jacket, purchased expressly with the new momma in mind) and is backed in a gray linen-look fabric. There's some nice soft fleece inside the pad. 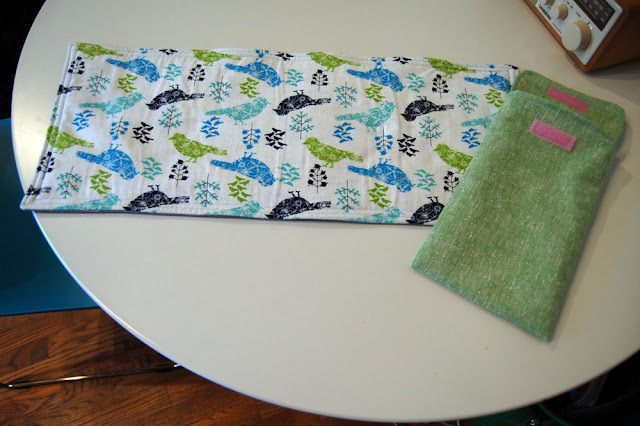 The pouch is green, tweedy sort of fabric, but can be machine washed. All fabrics (except the flannel) are from my stash. I'm off to Ohio for a few days. Ed's sister has finished her summer internship, so we're taking her back home. Have a good rest-of-the-week, readers! Adorable! You need to sell them on etsy!